Use the Liberty 3-3/4 in. Oil-Rubbed Bronze Knuckle Pull to revive outdated cabinetry. 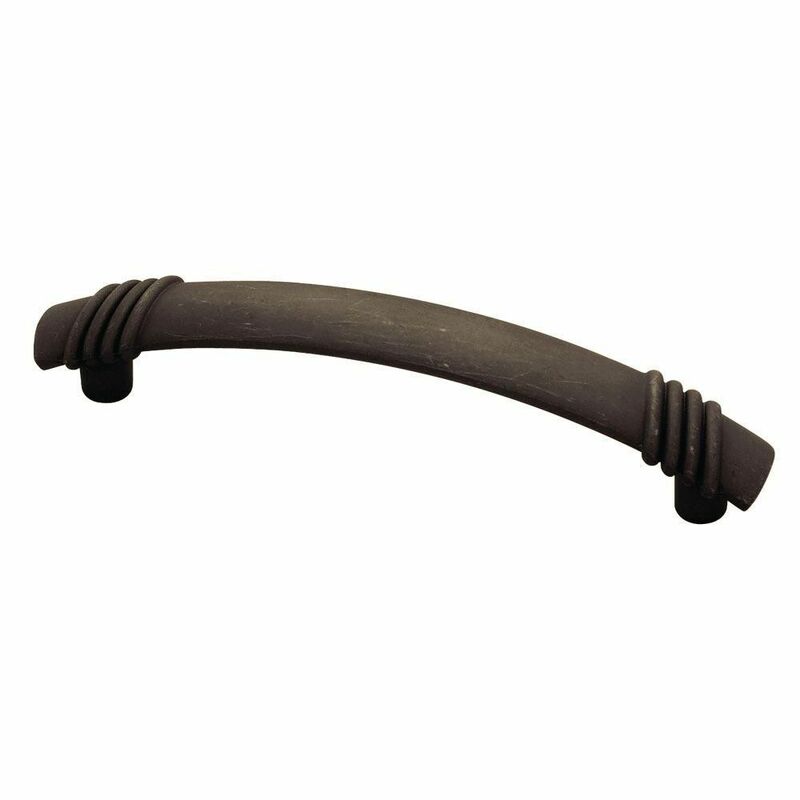 This pull is ideal for a new look and use in your bathroom or kitchen. The included hardware helps make installation easy. The Amerock BP29200ORB Conrad 3-3/4in(96mm) CTC Pull is finished in Oil-Rubbed Bronze. Inspired by recent resurgence of contemporary and transitional kitchen design, the Conrad collection's clean flowing lines merge with strong edges to create the perfect look for your kitchen or bath. The Oil-Rubbed Bronze finish is a rich, dark brown old world finish with striking light and dark accents. 96mm Knuckle Pull Use the Liberty 3-3/4 in. Oil-Rubbed Bronze Knuckle Pull to revive outdated cabinetry. This pull is ideal for a new look and use in your bathroom or kitchen. The included hardware helps make installation easy. 96mm Knuckle Pull is rated 4.4 out of 5 by 9. Rated 5 out of 5 by Frustrated from These cabinet pulls are beautiful! They are a good size and leave plenty of room for your fingers... These cabinet pulls are beautiful! They are a good size and leave plenty of room for your fingers. Very sturdy. Sort of have the modern, rustic look, which is the reason I chose them. Shipping took a little bit longer than usual, but it was worth it. Rated 5 out of 5 by HappyHomemaker from Exactly What I Wanted! This cabinet pull has the rustic elegance I am looking for. After shopping all quality labels, styles, and color, these pulls are a fantastic buy, not to mention the price! These look and feel expensive! I looked at VERY expensive pulls from another TOP brand, and finally saw them in a store; UGH! < Saved myself some serious $$$$. I truly love the finish on this cabinet pull, and these will work beautifully on my brand new cabinetry. Rated 5 out of 5 by eastonisthe1 from The cabinet pulls are very attractive. The color is very soft and blends well with the cabinet color. Customer service was excellent. There was a missing part and it was shipped immediately.